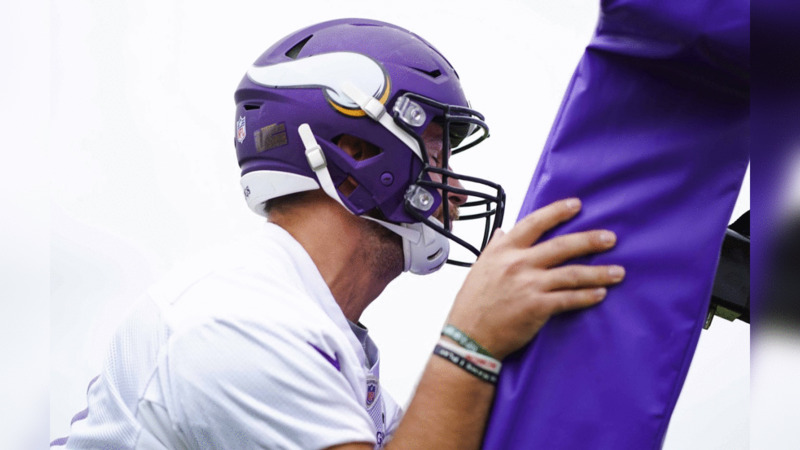 *EAGAN, Minn. — *The Vikings offense has shown a proclivity of pre-snap shifts and motions in Organized Team Activity practices open to the media and Tuesday’s first day of a three-day minicamp. With new Offensive Coordinator John DeFilippo and quarterback Kirk Cousins in their first offseason program, multiple players have been on the move. That’s quite all right with receiver Kendall Wright. “We have a lot of pre-snap movements, and it’s for the betterment of us,” Wright said. “The more we learn those things, the better it is for us as an offense and the easier it is for us to get the defense” to make changes. Wright also is comfortable playing multiple receiver positions, lining up on the outside or in the slot. The free-agent signee has been surrounded by changes in his pro career. Wright played for three different head coaches (Mike Munchak, Ken Whisenhunt and Mike Mularkey) and four offensive coordinators (Chris Palmer, Dowell Loggains, Jason Michael and Terry Robiskie) in his five seasons with Tennessee. He reconnected with Loggains last year in Chicago with John Fox as the head coach of a Bears team that was transitioning at quarterback. Mike Glennon started the first four games of the season before Mitch Trubisky the final 12, the first and last of which were against Minnesota. Wright caught four passes for 46 yards in Chicago and five for 29 yards in Minnesota last year. Wright said the amount of free time that he’s had this offseason leaves no excuse for not learning the offense. Wright is excited for the opportunity to play home games at U.S. Bank Stadium this fall and practice against the Vikings defense the next two days and when training camp opens. “He’s done a good job at all the positions we’ve lined him up at,” Zimmer said. Adam Thielen hasn’t changed pro teams — or even home states — for his football career, but the Vikings have also had their fair share of offensive changes for a myriad of reasons. Thielen was asked about working with Cousins and said developing the chemistry is a “work in progress like it always is” but keeps things “fresh” to learn a new quarterback’s approach and preferences.